I get a good amount of questions about pantry staples. I always suggest having grains, pasta and rice in your cupboards. This way a full-on meal, along with a few fresh ingredients, is only a few minutes away. And then, of course, I love to have things like dried mushrooms, dried fruit and nuts, a fully stocked spice cabinet and good olive oil and a variety of vinegars. When it comes to freezer staples, I always recommend making sure someone refills the ice cube tray. I’m personally the worst at this. Oh and definitely a few sheets of frozen puff pastry. I made puff pastry once and let me tell you it’s not for the faint at heart. And muscles! it takes a good amount of brute strength to fold the butter into the sheets of dough. I say skip the project of homemade puff pastry and buy the frozen stuff instead. Just be sure to buy good-quality puff pastry. You’ll know it’s good if there’s real butter (instead of palm oil) in the ingredient list. 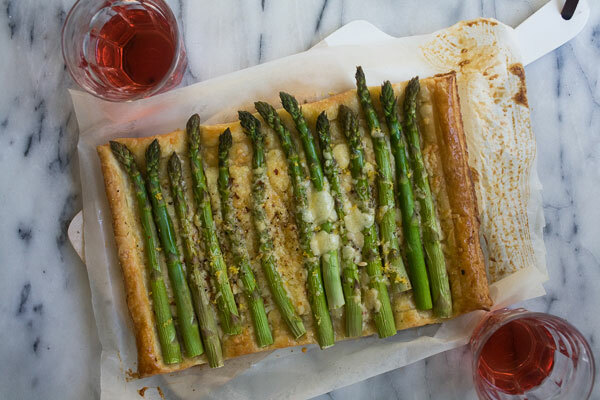 With frozen puff pastry in your freezer, it means a tart like this one is a mere 15 minutes away. 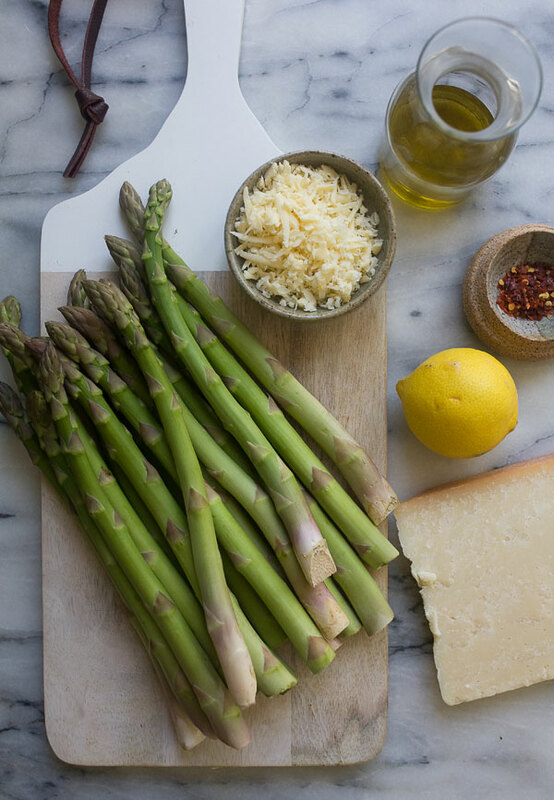 The asparagus can easily swapped out for other vegetables like peas, broccoli or cauliflower. The mixture of the two cheeses with red pepper flakes and a bit of lemon zest is pretty common, but sometimes simple is what I crave. From Adrianna Adarme of the Fresh Tastes blog: Frozen puff pastry is a quick way to make a tart. 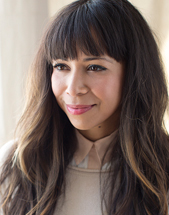 Preheat oven to 400 degrees F. Line a baking sheet with parchment or foil and set aside. On your clean countertop, dust it with the tablespoon of flour. Roll the puff pastry to a 1/8-inch thickness that's a rectangle sized at 14-inches by 8-inches; trim the the rectangle so the edges are straight. The accuracy of the rectangle's dimensions isn't that vital; feel free to eyeball it! Using a sharp knife, lightly score the puff pastry dough 1-inch from the edges, making a rectangle shape within the rectangle. Take a fork and score the inside of smallest rectangle, ten or fifteen times. 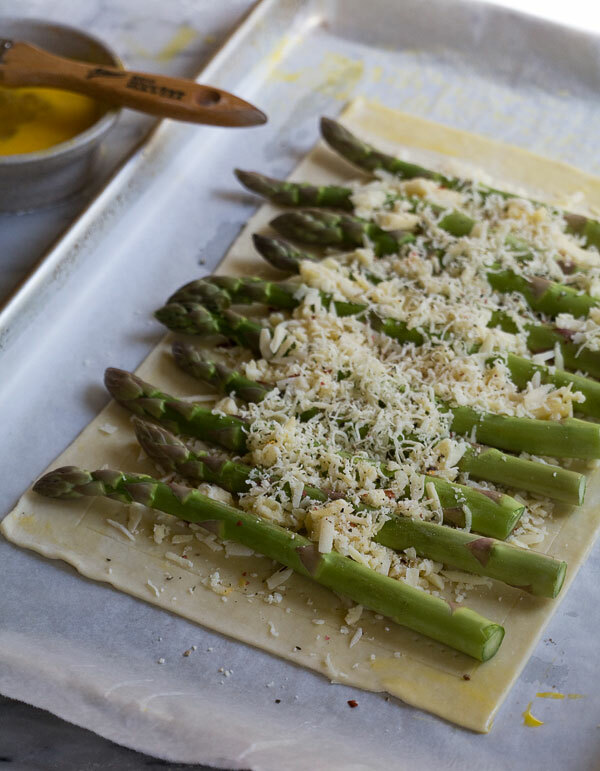 Transfer the sheet of puff pastry to the lined baking sheet. 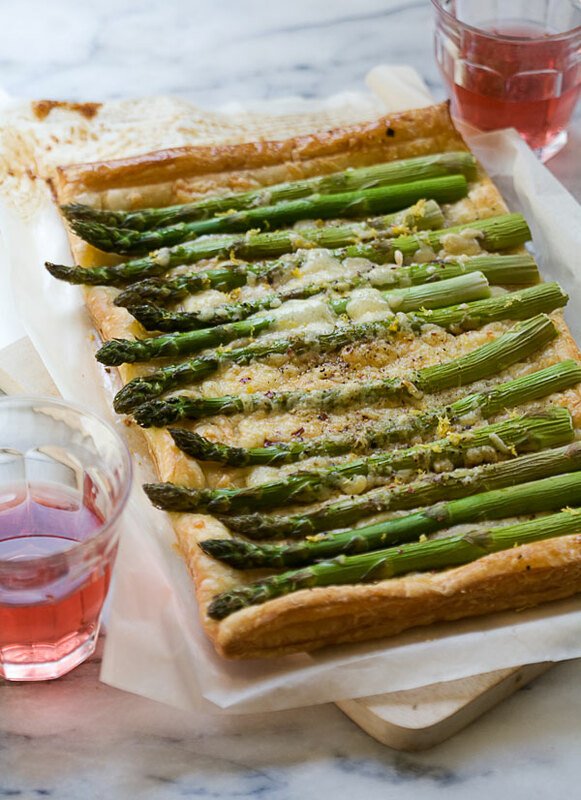 Brush the entire puff pastry with the lightly beaten egg and place the baking sheet in the freezer to chill for 5 minutes. In a medium bowl, mix together the Parmesan, Gruyere and red pepper flakes. Spread half of the cheese mixture on the inside square. 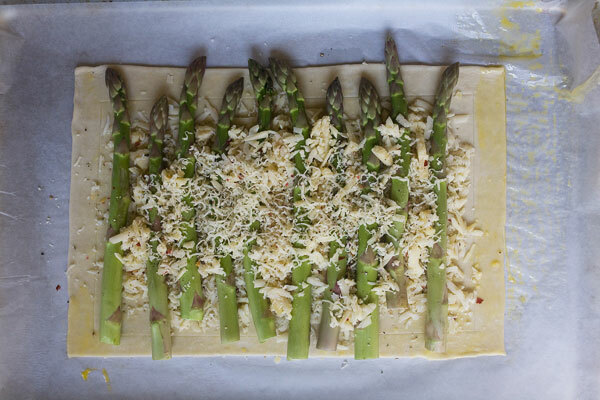 Arrange the asparagus spears side-by-side and top with the remaining cheese mixture. Sprinkle with a bit of black pepper and transfer to the oven and bake for 15 to 20 minutes, until the edges are golden brown. Zest the 1/2 lemon over the tart; slice it up and serve.